Today’s companies want robust and flexible HR software with great service and support. The best technology is simply the best technology — and shouldn’t be limiting for companies large or small. In other words, powerful programs shouldn’t be reserved for enterprise-level businesses, and agility shouldn’t be limited to small and midsize businesses. Our automated HR case management software prevents employee issues from falling through the cracks or becoming bigger problems down the road. It complements talent management software to identify potentially costly patterns of personnel issues, reduce risk, and maximize HR productivity by reducing help calls by up to 75 percent. 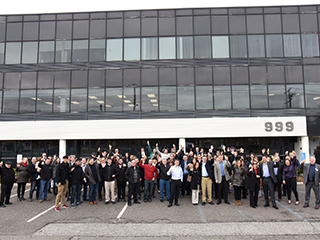 Simply put, we have put the power in the hands of each employee — whether you have 50 or 50,000 people in your organization. We believe great technology should be rated “E” for everyone. That’s why we now offer three new versions of our robust enterprise platform, LBi HR HelpDesk, designed specifically for companies with fewer than 2,000 employees. Each version offers a full suite of features, solutions, and purchasing options designed for the needs of small and midsize companies. We even offer a “free-forever” version for companies with fewer than 100 employees. If you’re planning to attend HR Tech this year, we encourage you to stop by and see us at booth 1649 to meet the new and improved LBi HR HelpDesk. We’re excited to be exhibiting at the annual HR Technology® Conference & Exposition in Las Vegas in October for the 5th consecutive year. We are proud to be part of this show and the innovation, dialogue, and progress that it supports for the human resources community. Can’t wait until October to meet the new LBi HR HelpDesk? Sign up for a free trial or request a live demo today to learn more about our product tiers and capabilities. 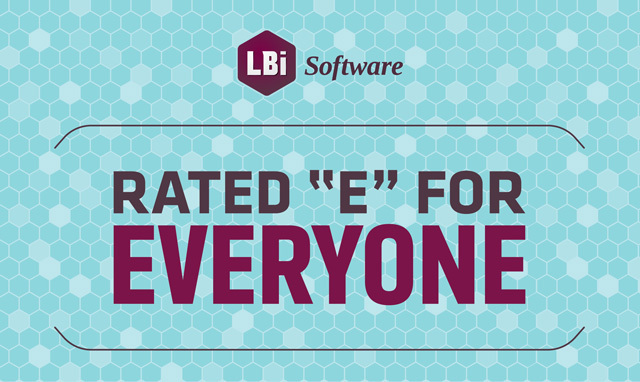 Find out how LBi provides technology that’s rated “E” for everyone — and how you can benefit from LBi HR HelpDesk. No matter the size of your organization or the complexity of your case management needs, we can help you simplify HR administration with our highly configurable, all-in-one solution.